Mostly Sangiovese, but blended with a bit of Cabernet Sauvignon for some extra grunt and tannin. This is serious stuff, but needs a bit of waking up - make sure to decant or at least open an hour ahead of drinking. It opens up with loads of dark cherry and blackberry, plus spices like clove and cinnamon. There's also a woodsy, herbaceous kind of ting going on that's intriguing. The fruit puts up a good fight to the savoury tannin - the wine has a soft mid palate but tannins kick at the end, with flavours of earth, mint and gravel. 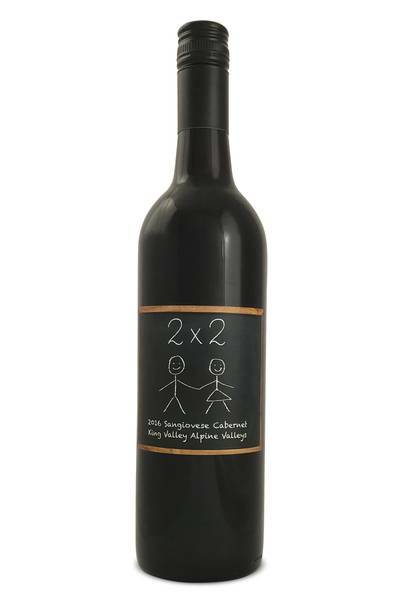 We’re a little bit in love with this red blend from 2x2. 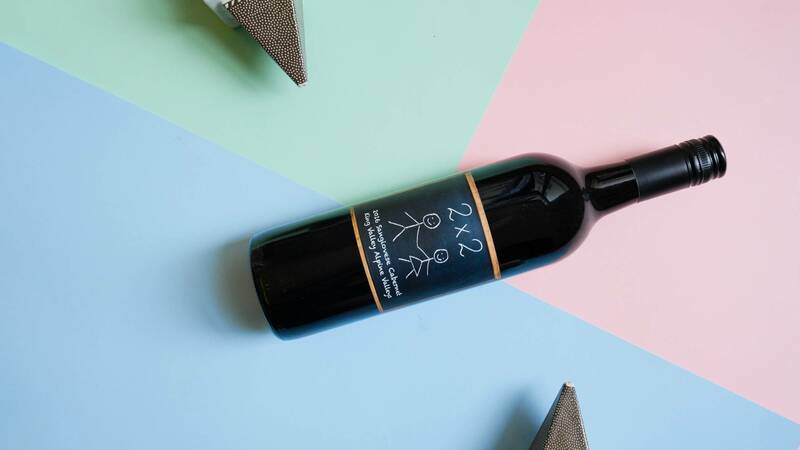 With Cabernet Sauvignon as its starting point, you just know as soon as you take the first sniff of this wine that it’s going to be a real winner with richly-flavoured savoury foods. Pretty much any dish which uses cheaper cuts of beef is going to be utter perfection with red wine, and it will also pair nicely with sausages, roast duck, mushroom risotto and dishes using truffles or truffle oil (ooh, fancy!). It’s also a great wine to pair with cheese, especially stronger, tangier English style cheeses, and if you want to go for something a little different, pair this bottle with bacon and eggs - trust us, it really works!